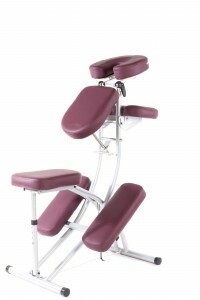 What is on-site chair/corporate massage? Typically corporate massage is done with a specially designed massage chair to provide comfort and relaxation in the corporate environment. 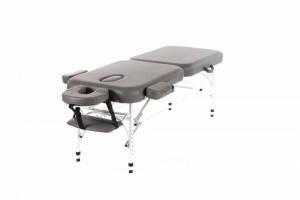 A corporate chair or table massage is performed fully clothed in a private or semi-private (usually a conference room) setting by a certified massage therapist. The most popular areas targeted are the neck, shoulders, back, arms and hands. Aromatherapy creams/lotions may also be used on hands/arms/neck/shoulders. Sessions are 10-45 minutes with most people selecting 15, 20 or 30 minute sessions. Corporate massage is a fast growing service companies are offering their employees. Scientific evidence supports what companies realize, that a large part of illness/absenteeism and health related issues are stemming from on the job stress. More and more companies big and small are incorporating wellness programs to not only improve productivity , but boost morale and show their employees that they are appreciated. Become one of the growing companies incorporating on site massage into your work place and reap the benefits in more ways than one. Schedule: Corporate events are scheduled to meet your needs. We are available from 8AM-10PM Monday through Sunday. We ask for a 2 week notice for an event, but may be able to accommodate same day requests. Rates: Vary depending on the program you select. Please call or email for a customized quote. Rates range from $55-$85 per hour depending on program and frequency of bookings. Individual sponsored-Typically individuals are charged $1-$1.50 per minute. Incentive and Employee/Customer appreciation –This is a great way to thank employees working hard on a project or as a monthly, quarterly or annual gift. We specialize in on-site events and wellness programs. We offer high quality services at a competitive rate. Therapists will always be professionally dressed and act in a professional manner. We are a local company, so the money stays within the community. Because we are local, our therapists have an opportunity to build professional relationships with clients to continue their treatment and optimize wellness.